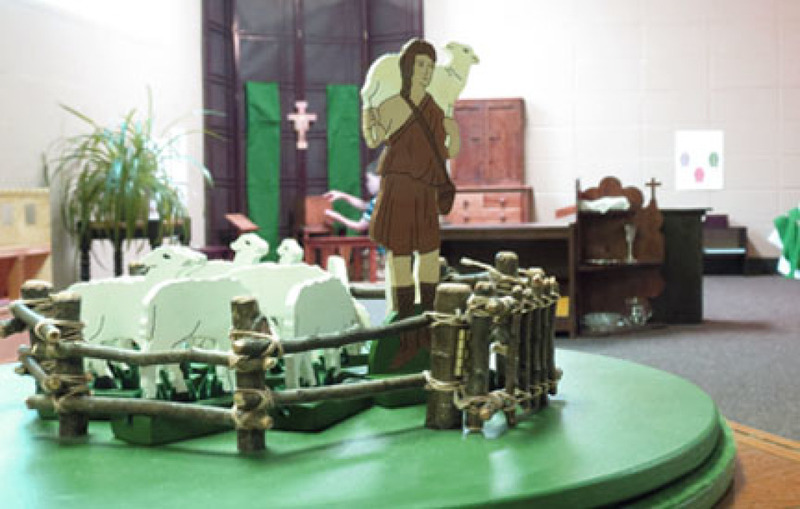 Catechesis of the Good Shepherd (CGS) is unique faith formation for children ages 3-12 that seeks to create a very sacred space for children to fall deeply in love with God. It is in their work in the atrium that the children move deeply into reflection, seeking the face of God with great joy and love. We currently offer Level 1 atrium to the children ages 3-6 and Level 2 atrium to the children ages 6-9 during the school day. 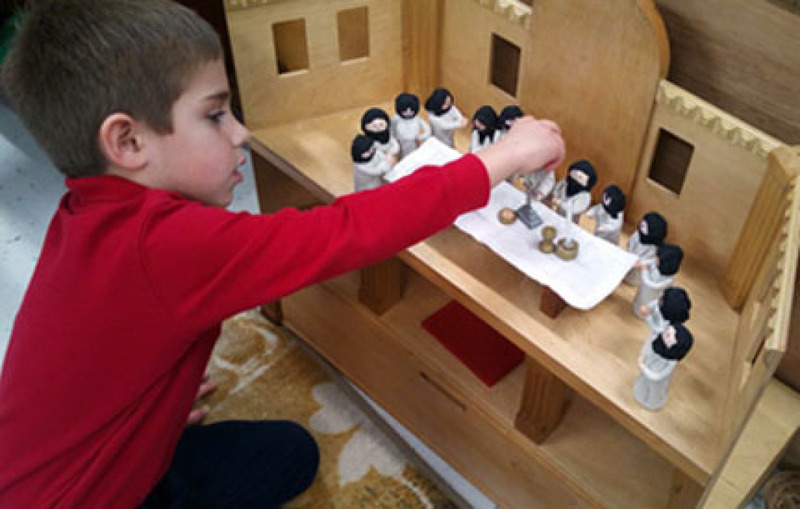 We offer atrium to children ages 3-5 in the Religious Education program. We are growing the program to serve the children, ages 9-12, over the next few years. 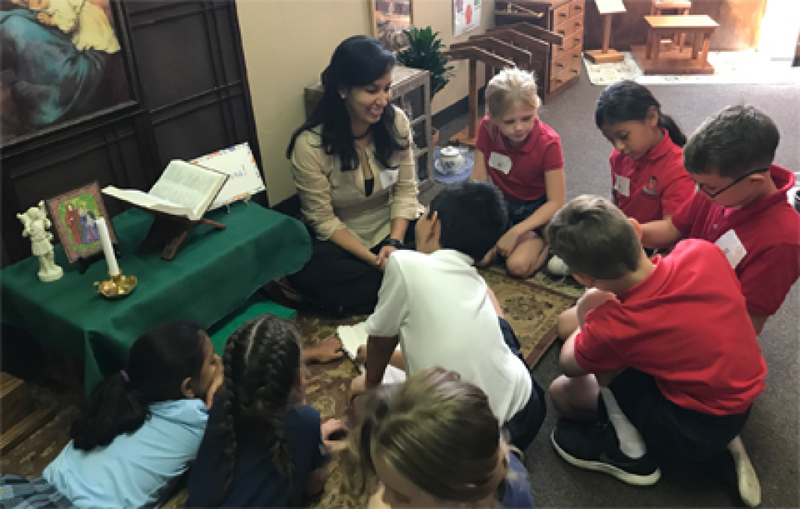 Children who are enrolled in St. Paul's School or Preschool attend Catechesis of the Good Shepherd as a part of their school day. No registration is necessary. 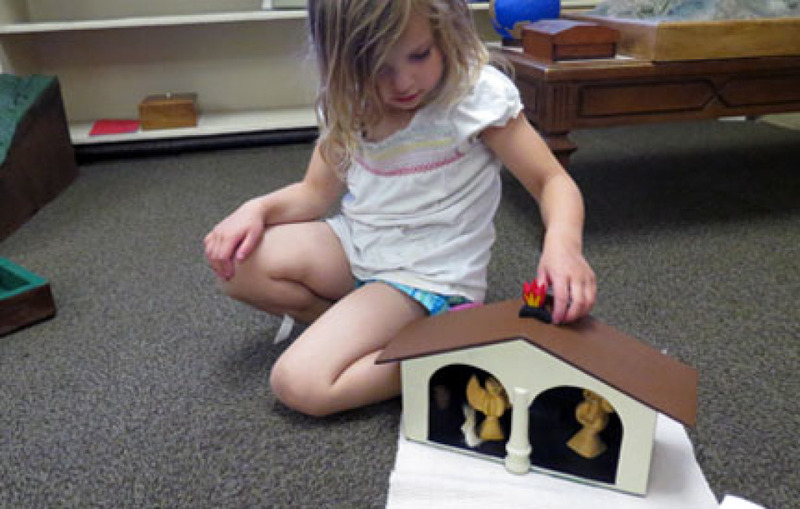 As our parish grows, Catechesis of the Good Shepherd will also grow to serve the children. This program is made possible by volunteer catechists and assistants. We need your one talent! Do you do carpentry or calligraphy? Can you paint or work with clay? Can you spend an hour a week with the children? We are especially in need of catechists and assistants. Parents, grandparents, young adults, the retired; anyone interested in working with children are invited to attend the very rich, retreat like courses of CGS. You will learn the most simple and essential truths of our faith. Level 1 Formation begins September 2019. "The atrium is a place of prayer, in which work and study spontaneously become meditation, contemplation and prayer.."